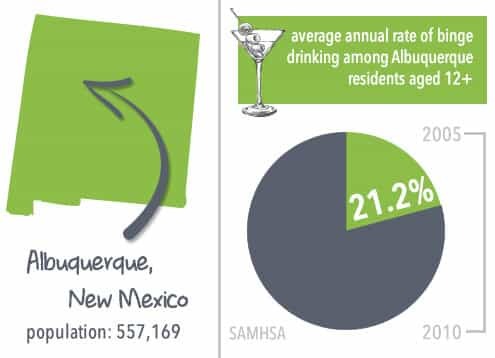 Albuquerque, New Mexico, has made national headlines over the last several years for substance abuse issue. The large metropolis of 557,169 people has substance abuse rates higher than the national average, much like the state it resides in.1 In light of the high rates of substance abuse, Albuquerque is making an effort to address mental illness, which is often a contributing factor to substance abuse. Many programs are in place in the city that aim to reduce adverse outcomes of mental illness, like suicide and substance abuse. Efforts to reduce drug-related criminal activity are also in place. Motivational Interviewing is another option. It is a collaborative approach for getting individuals to examine reasons why they engage in drug or alcohol abuse and the positive reasons they have to instigate change. Several treatment options in the city manage substance abuse disorders — 19 to be exact.31 Likewise, 11 of these facilities cater to the needs of the 94,000 of New Mexico residents who suffer from mental illness.32,33 New Mexico has a strong understanding of how mental health disorders impact a person’s life. There is acceptance for this group of people and a reasonable outlook on the confounding factors that stem from living with mental illness, like not being able to hold down a job or turning to drugs and alcohol to try and cope with symptoms. Paying for treatment can be hard for many individuals. Those afflicted with substance abuse and addiction problems often don’t have steady income. Private insurance was actually only accepted at 65 percent of treatment facilities in operation as of 2012.34 Medicaid was accepted at 58 percent of these facilities, which makes it a vital aid for many who are living on low incomes or who cannot work.35 That same year, 62 percent of treatment units in the country reported the use of sliding scale programs to accommodate their clients’ financial needs.36 These programs allow clients to submit proof of income and thereby base their treatment costs off what they can actually afford to pay. “State & County QuickFacts.” (2014). United States Census Bureau. Accessed September 19, 2015. “Substance Use and Mental Disorders in the Albuquerque MSA.” (n.d.). Substance Abuse and Mental Health Services Administration. Accessed September 19, 2015. “Substance Use and Mental Health Estimates from the 2013 National Survey on Drug Use and Health: Overview of Findings.” (2014 Sep 4). Substance Abuse and Mental Health Services Administration. Accessed September 19, 2015. “Substance Abuse Treatment Admissions by Primary Substance of Abuse.” (2012). Substance Abuse and Mental Health Services Administration. Accessed September 19, 2015. “Reports.” (2013 Oct 7). Trust for America’s Health. Accessed September 19, 2015. “Annual Causes of Death in the United States.” (n.d.). DrugWarFacts. Accessed September 19, 2015. “Alcohol-related deaths: How does your state rank?.” (2014 Jun 27). CBS News.Accessed September 19, 2015. “NAMI’s New Fact sheets on the Uninsured and the Costs of Mental Illness.” (Aug/Sep 2007). National Alliance on Mental Illness. Accessed September 19, 2015. Clay, R.A. (2009). 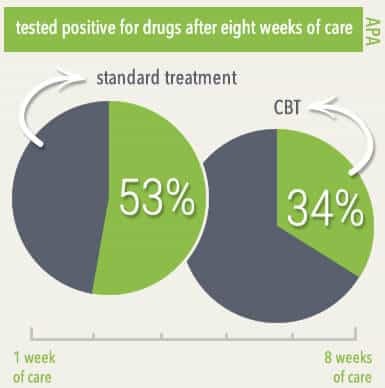 “New hope for substance abuse treatment.” American Psychological Association. Accessed September 19, 2015. “What is borderline personality disorder?.” (n.d.). National Institute on mental Health.Accessed September 19, 2015. McMillan, K. (2014 Apr 25). “The Truth About Prescription Pills: One Writer’s Story of Anxiety and Addiction.” Vogue Magazine. Accessed September 19, 2015. “Benzodiazepines in Combination with Opioid Pain Relievers or Alcohol: Greater Risk of More Serious ED Visit Outcomes.” (2014 Dec 18). Substance Abuse and Mental Health Services Administration. Accessed September 19, 2015. Brownstein, J.S., Green, T.C., Cassidy, T.A. & Butler, S.F. (2010 Jun 19). “Geographic Information Systems and Pharmacoepidemiology: Using spatial cluster detection to monitor local patterns of prescription opioid abuse.” Pharmacoepidemiology Drug Safety.Accessed September 19, 2015. “Facts & Statistics.” (n.d.). Anxiety and Depression Association of America. Accessed September 19, 2015. “Consequences of Non-Treatment.” (n.d.). Treatment Advocacy Center. Accessed September 19, 2015. “New Mexico Heroin Laws.” (n.d.). FindLaw. Accessed September 19, 2015. “New Mexico Cocaine Laws.” (n.d.). FindLaw. Accessed September 19, 2015. “New Mexico Laws & Penalties.” (n.d.). NORML. Accessed September 19, 2015. AP. (2013 Sep 4). “Drug overdose deaths in New Mexico decline in 2012.” Carlsbad Current-Argus. Accessed September 19, 2015. “Suicide: 20 states with highest rates.” (n.d.). CBS News. Accessed September 19, 2015. “Substance Abuse Treatment Facility Locator.” (n.d.). Substance Abuse and Mental Health Services Administration. Accessed September 19, 2015. “State Statistics: New Mexico.” (2010). National Alliance on Mental Illness. Accessed September 19, 2015. “Substance Use Treatment Data, Research, and Policies.” (n.d.). DrugWarFacts.Accessed September 19, 2015. “Licensed Counselor Requirements in New Mexico.” (n.d.). Counselor-License.Accessed September 19, 2015.